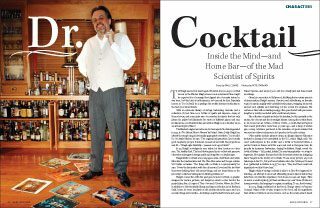 “Right now I’m really feeling the barrel-aged Bamburana collaboration from Oskar Blues and Cigar City,” says Mike Potter, founder of Black Brew Culture and one of our 2019 Imbibe 75 People to Watch. His pick for Drink of the Week is an Imperial Stout, aged in whiskey and brandy barrels with figs and dates, then aged again in tanks with Amburana wood spirals (a wood indigenous to South America, sometimes used in Cachaça production). It’s the first collab between the two breweries that’s distributed nationally. “There’s a smooth vanilla and cinnamon nose and upon first sip, there’s a nice dose of dark fruit fig and date that really unfolds nicely,” Potter says. 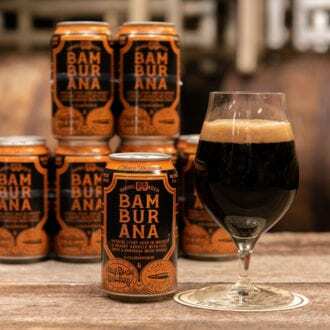 “The spice notes of the Amburana are not overpowering, and the booziness (12.2% ABV) blends well with the carbonation and chewy mouthfeel. I’ll be drinking this one or two more times before the run is over.” Visit Oskar Blues’ beer finder for more distribution information.